The Filipino version of yellow cab. Everyday, you see jeepneys in all colors. 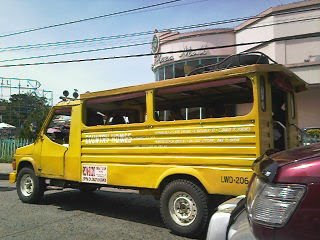 It is the main transportation here in the Philippines and a must ride if you are new in this country. Captured this moment while I was waiting for our jeepney to get through the traffic.